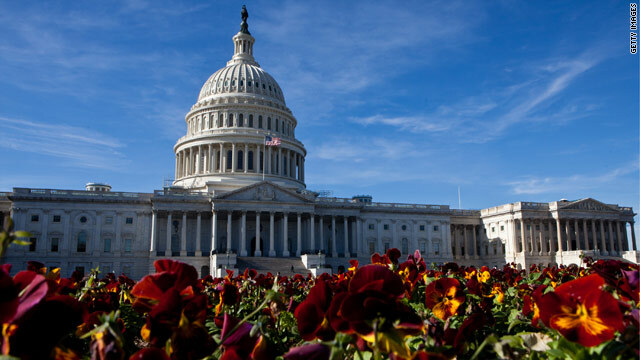 Washington (CNN) - House Republicans pulled the plug on a vote Thursday on a bipartisan amendment to a defense bill that would force the Obama administration to stick firmly to its timetable for getting U.S. troops out of Afghanistan. Republicans were concerned the amendment could pass, according to two GOP congressional sources. Instead, GOP members decided to allow limited debate on Afghanistan, but just on one amendment sponsored by California Democrat Barbara Lee that was guaranteed to fail. It would essentially end the war in Afghanistan by limiting funding to the "safe and orderly withdrawal" of U.S. troops. One of the Republican sources stressed that there were a combination of factors for not allowing a vote on the timetable proposal, including "a lack of White House engagement." GOP leaders expected a bloc of their own members to support the measure and they couldn't rely on the White House to lobby Democrats against it. The source stressed Republicans didn't want to "roll the dice" and have a vote setting firm dates for the administration's war policy, which would expose significant reservations about the president's plan, which GOP leaders have largely supported. Democratic Rep. Jim McGovern of Massachusetts, who pushed for the vote on the timetable amendment with North Carolina Republican Rep. Walter Jones, decried the decision to deny a vote on his proposal on Thursday. "What is the Republican leadership afraid of? Are they afraid a bipartisan majority of this House will vote to follow the will of the American people and change our Afghanistan policy?" he said. McGovern explained that his amendment required the president to stand by his commitment to transition all combat operations to the Afghan government by the end of 2013 and complete the transition of all military and security operations by the end of 2014. It would have also required the administration to come back to Congress for approval if it wanted any troops to stay beyond 2014. Jones told CNN he was confident the amendment would have passed. "That's the reason they didn't bring it up," he said. He added that he talked to House Speaker John Boehner Wednesday night and urged him to allow a vote on it, and told Boehner he had "a lot of support" for the measure. Boehner's office declined to comment on the matter. Last year McGovern and Jones offered a similar amendment to the defense bill that would require the administration to give a detailed timetable, but that failed narrowly - 204-215, and the close vote surprised many in the Obama administration. Jones said that in addition to the 26 who voted for the measure last year he was told by colleagues he could get another seven or eight Republican votes, which could have potentially changed the outcome this time. A frustrated Jones said he would try again to attach the language to the defense spending bill when it comes up. "This is supposed to be the people's House - that means we listen to the people. How about listening to the 72% of those who say get out of Afghanistan? We're stone deaf for whatever reason I don't understand." Lee's amendment to withdraw troops was defeated 113-303, but it did demonstrate the willingness, again, for a significant number of Democrats to split with the president on his war policy - over a hundred Democrats voted for it. Lee argued on the House floor, "It is time to say enough is enough. With almost 2,000 United States troops killed in Afghanistan and many tens of thousands more maimed with injuries both hidden and visible, we must recognize that the boots on the ground strategy in Afghanistan must end." But Republicans countered that the California Democrat's amendment amounted to "getting out now" and could result in opening up the United States again to a terrorist attack. New Mexico Republican Rep. Steve Pearce, who noted he flew combat missions in the Vietnam War in the early 1970s when Congress voted to restrict funding for that war, said Lee's amendment would signal to America's enemies that it was willing to abandon its troops on the ground. A visibly agitated Pearce said, "I'm telling you as someone who was there during a time when Congress choked off the funds to people that were in harm's way, I had a burning anger and that anger burns today, and when I see this amendment and visualize the young men and women over there who you're cutting funds off and saying, 'We're going to leave you with an orderly and quiet withdrawal ...'" The New Mexico Republican maintained because of attacks by the enemy that kind of withdrawal is "not humanly possible." This reminds me of Vietnam. Every delay and political move translates into the deaths of actual Servicemembers. This isn't about Republican "chickenhawks" who want war at all costs, they could have joined our Warriors and directly participated in this conflict. I came out of retirement to serve a couple of more years – at the age of 61. They would have accepted most of these "suits" who want America to fight in an area that hasn't been successfully conquered since Gengis Khan. This is about sleazy politicians voting some party-line and working to actually hurt our economic recovery. Throw these radicals out and let's get to work. Vn was as much a quagmire as Afghanistan. No mission, no end in sight. Our side doesn't care about the country. How long does it take to train and army and police? this goes on and on and on. Time to get out and leave them to their fate. We have spent enough. When 1/4 of your casualties are from locals on your side, its time to get out of this place. The comment that was made in the middle of this article says it all: they don't want to be exposed. The republicans who shut this down are so afraid of exposing their own agendas and marching orders from the tea party that they will even throw their own party members under the bus. If you see that your representative has only expressed a desire to remove Obama and not represent THE PEOPLE – vote them out. Here's a thought. Let's send the Republican congress to Afghanistan until the Democrats in congress decide to take a vote whether or not to bring them back. How's that, Speaker Boehner? At least Rep. Jones is doing the right thing. Now if more Republicans would realize they work for the American people, like he does, we could move this country forward. At least he is not a sheep. Republicans are back to their same old "stay the course" ideologies that turned both Afghanistan and Iraq into quagmires. I think it is high time for the US to get out of Afghanistan. We have been there over 10 years with little to show for it. The place is tribal. The Brits could not subdue it – neither could the Russians. The "people" (us) want the USA to withdraw and let whatever happens happen. We have gotten very good at using drones and special forces to target terrorist leadership. That should continue…. What? The spineless weeper of the house is not going to throw a little girl like temper tantrum. The inhumanity of it all, including another blackmailing by the tea tards! The unhinged GOBP never saw a war that they didn't love for the profits, a billion a week from this one. "Republicans are for the detriment if this great big nation". This just in. GOP postpones the vote on the Presidents request to go to the bathroom because the country can't afford another 4 years with his liberal bladder.... When will everyone start to understand that all the GOP wants is to disrupt government and make him a one term President. No matter which side you look at from, the GOP is constipating the government for their own gain. The signal to America's enemies that we do not have the stomach to actually WIN as opposed to "fight" wars was the Bush Administrations two historic, in the middle of two wars, tax cuts. The bad guys could figure out that "support the troops" was no more than a handy catch phrase that remained valid so long as "support" did not cost Americans so much as a dime. on to the board of CPAC . The republican party are the real threat and traitors to the U.S. .
Mr. Romney has not said he would end the war on Day 1.Where does he stand on the war? This failed Congress needs to be fired! They are not representing us, the people. The GOP should be embarrassed with this outcome. This is proof that a Romney Presidency (god forbid) would be a shoe in for more wars, more spending. Wake up, people! Once again the Grand Obstructionist Party is hard at work serving their masters. They are the best politicians money can buy, and a few more dead US troops matters not to them.. Viva la war machine.. icebergs be damned.. full speed ahead! !